Syed Mahmood Ali, Saudi Aramco Badge No. 71274, the living legend, a senior member, 80+ years of age, SAEEA Member, recently moved from the USA to Pakistan and plans to stay here. SAEEA Representatives visited Mahmood to welcome him in Pakistan. The Reps spent some time with Mr and Mrs. Syed Mahmood Ali and briefed them about Saudi Aramco Ex-Employees Association (SAEEA). The couple was very happy to know that there are ex-Aramcon Friends available in Karachi and may be met during reunions or any other time. Mahmood born in India and migrated to Pakistan. He joined Saudi Aramco, Office Services Department in 1954. After six months he moved to RT Refinery and then to OSPAS Dhahran until 1985 when he retired. 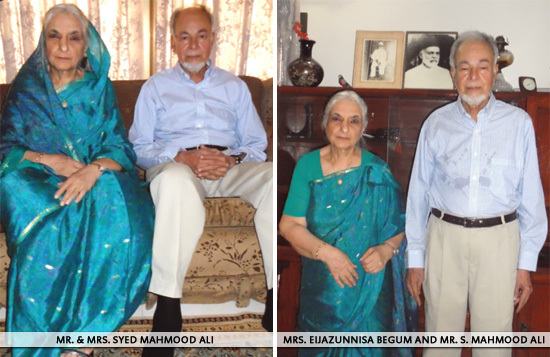 While working for Saudi Aramco, Mahmood went to India in 1958 and got married Eijazunnisa Begum. They are blessed with four daughters, all born in Saudi Arabia. They are Sima, Salma, Shama and Naheed. All of them are married and settled in the United States. His daughter Salma lives with her husband in Saudi Aramco facilities as his son-in-law works for Saudi Aramco. THE MAHMOODs are very social and would like to spend their time with friends. He is a very good poet and singer. 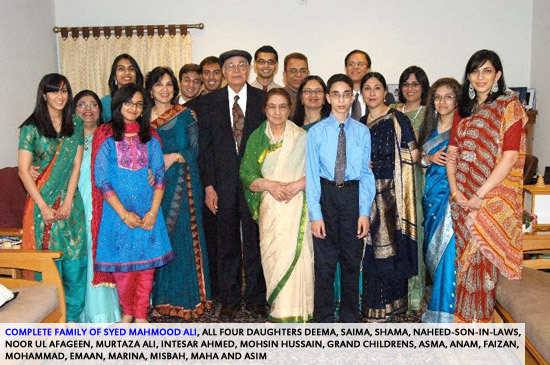 SAEEA wish THE MAHMOOD's good luck and their safe stay in Karachi, Pakistan.